April 25, 2014 in category Uncategorized and 2 comments. Due to the awful Smurf movie last year, there has been a spike in unlicensed Smurf products. 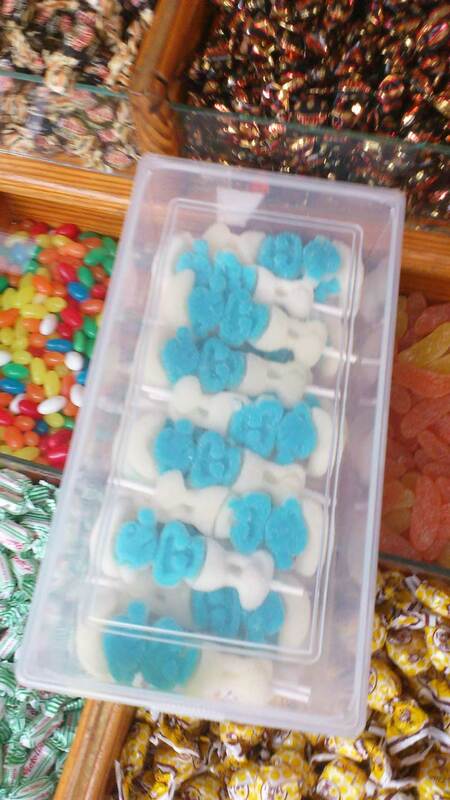 These skewered jelly Smurfs are a bit unsettling though…they’re sort of life size. I found these in an open air market in Murcia. Nice! Is it like Pick and Mix?? 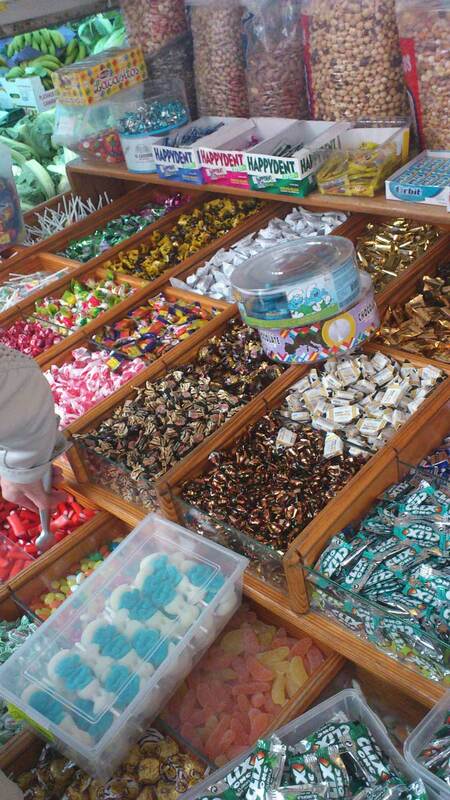 Mostly, you handle the loose sweets and he weighs them.